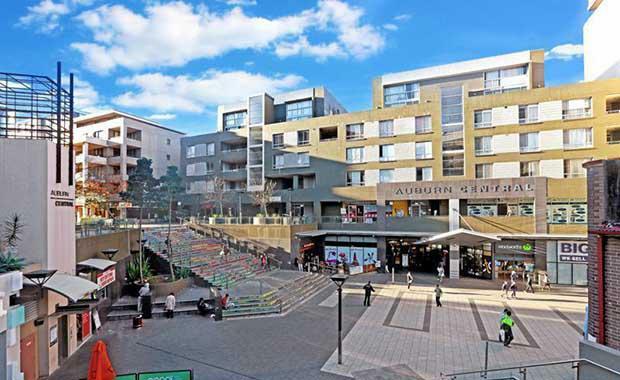 Auburn Central shopping centre is offered for sale as the investment market hits its stride before Christmas holiday break. Holdmark Property Group has appointed Simon Rooney of JLL to sell the site, which is the only sub-regional shopping centre in the Auburn main trade area. The site, located 20 kilometres west of Sydney CBD and six kilometres from Parramatta CBD, occupies approximately 50,000 square metres of land on the corner of Harrow Road and Queen Street. While no sale price was disclosed, similar properties have been valued at more than $75 million. Mr Rooney said investors have been focusing on sub-regional centres over the past two years, with centre worth more than $3 billion had changed hands over 2013 and during 2014 to date. "The very high level of activity demonstrates strong demand for sub-regional assets, particularly those with positive retail fundamentals and a solid growth outlook," Mr Rooney said. TIAA Henderson purchasing retail areas at Greenwood Plaza, and Mirvac purchasing Birkenhead Point mall and marina. Another sale recently completed was 1029-1035 Bourke Road, 723 Elizabeth Street and 409 George Street in South Sydney’s Waterloo for $46.6 million to a developer in Shanghai. The properties have a fully leased initial yield of 6.36 per cent and can be redeveloped. The transaction was handled by Sam Brewer, head of metropolitan sales and investments for NSW at JLL, and Michael Crombie, National director of industrial at Colliers International. According to Mr Brewer, this was a highly competitive sale achieving an aggressive yield. "We received eight offers for the opportunity, with the final offer exchanging within eight days of first round," Mr Brewer said. "For a suburban investment opportunity, the site achieved an incredibly low yield. "This result is a sign of South Sydney currently being [one of] the most sought-after fringe markets in Australia." The property sale comes before the closing of expressions of interest for creative commercial office complex The Woolstores in Sydney's Alexandria, which is also being handled by Mr Brewer and Mr Crombie. The Woolstores is expected to sell for more than $50 million.